“It’s a wonderful pleasure to acquire knowledge,” Fred Mitzman declared after his recent trip to the CSC. He’d been instrumental in organising the visit for himself and fellow students of the Harrow branch of the University of the Third Age. 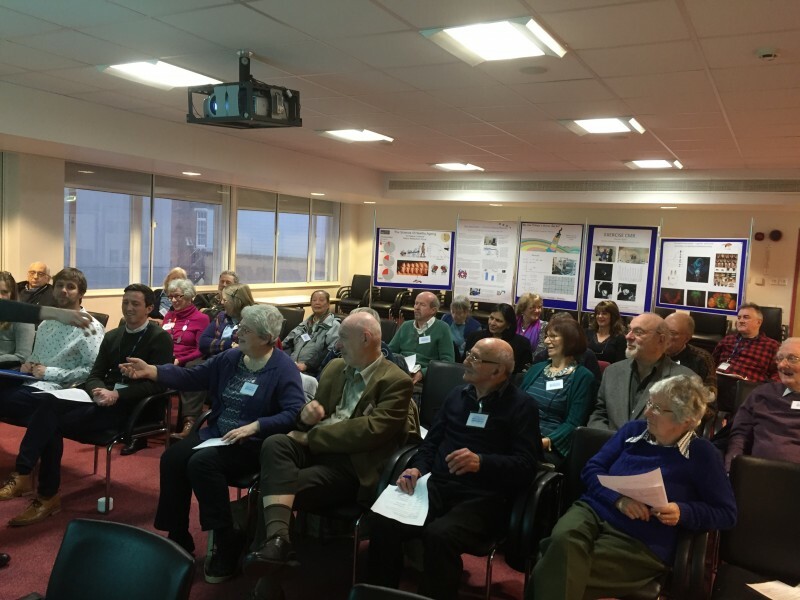 The 27-strong group enjoyed a morning of talks from five CSC scientists. 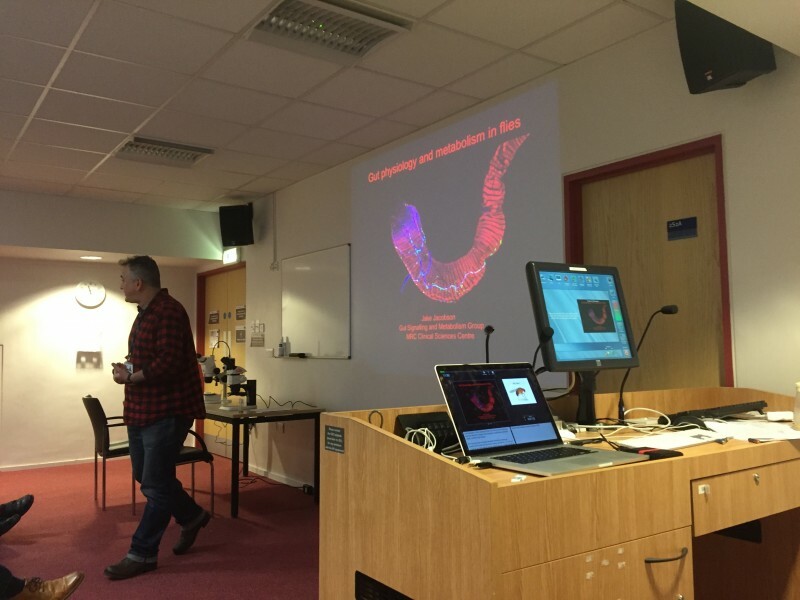 Bertie Gyenes spoke on “The Things a Worm Can Do”, describing two ways that a nematode worm can reverse, and what that might tell us about how our own brains control behaviour. Shareen Jaijee’s talk on “How Our Hearts react to Exercise”, described unique work at the CSC using exercise CMR (Cardiac Magnetic Resonance imaging) to study how the heart responds under stress. Jake Jacobson’s talk on “Gut Physiology and metabolism in flies” explained why the fly is such a valuable model for understanding human brain-gut signalling, and in her talk on “What flies can tell us about ageing” Helena Cocheme described research on links between metabolic pathways and ageing processes, including the latest on clinical trials to explore this. Gut instincts: Jake Jacobson addresses the U3A seminar. Peter Faull drew the morning to a close, with a talk on the history of mass spectrometry and its current uses in “Mass spectrometry, a tool for exploring molecules”. The audience raised a number of thought-provoking questions and thoroughly appreciated the time the speaker’s spent with them. Ruth Webber quietly revealed that she’d never managed to successfully see anything down a microscope at school. With Bertie Gyenes’ help she was fascinated to focus in on both the worms and the flies that were on show after the talks for those who wanted to know more.